Though there are a lot of addons available for Firefox, still they hold some individual and unique features. In such a way, there is another addon available for Firefox. The name of the addon is Reload Plus. 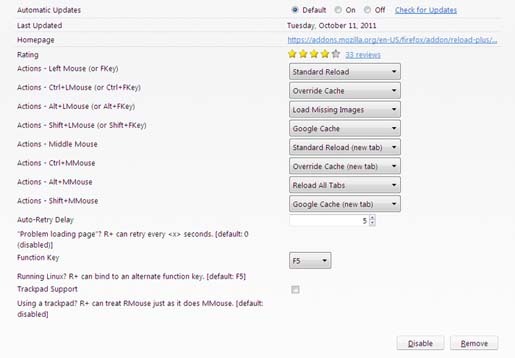 With this addon, you can make your regular work on browser much faster than earlier. 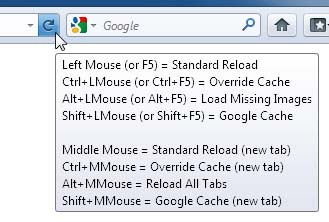 The addon is capable of supercharging the reload button and hotkeys of Firefox. Let’s check out the functionalities. Other available actions include "Reload Non-Pinned Tabs", "Reload Pinned Tabs", and "Set/Clear Reload Interval". These actions can be swapped in via the configuration dialog. NOTE: This add-on is designed to replace several aging extensions, such as "Reload", "ReloadEvery", "Reload Non-Pinned Tabs", "Show Image", and "Show Picture". It's recommended you remove these and anything similar before installing R+. Start installing the addon right away to make your work faster.